When David Spooner’s elementary school teacher assigned the class to collect leaves, she didn’t tell the students the names of the trees. That didn’t sit well with the fourth-grader. So Spooner went and found the names himself. He’s been finding names ever since — whether of sunflowers, or potatoes, or carrots. As a U.S. Department of Agriculture taxonomist in the horticulture department at the University of Wisconsin–Madison, Spooner is charged with traveling the world to gather plant specimens that could be useful to plant breeders and then carefully organizing the plants by their relatedness, providing order to tangled family trees. At the end of October, Spooner transferred a large collection of potato specimens in the form of pressed plants that he and others collected around the Americas from the U.S. Potato Genebank in Sturgeon Bay, Wisconsin, to the Wisconsin State Herbarium housed in Birge Hall on the UW–Madison campus. In the coming years, Spooner will wind down his tenure on campus by re-classifying the specimens according to his most recent catalog of potato species. 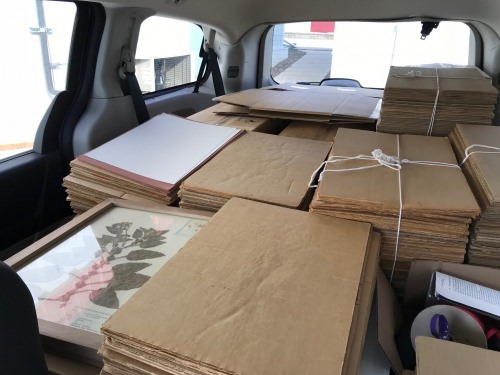 The donation is a significant boon for the 1.3 million-specimen herbarium on campus. 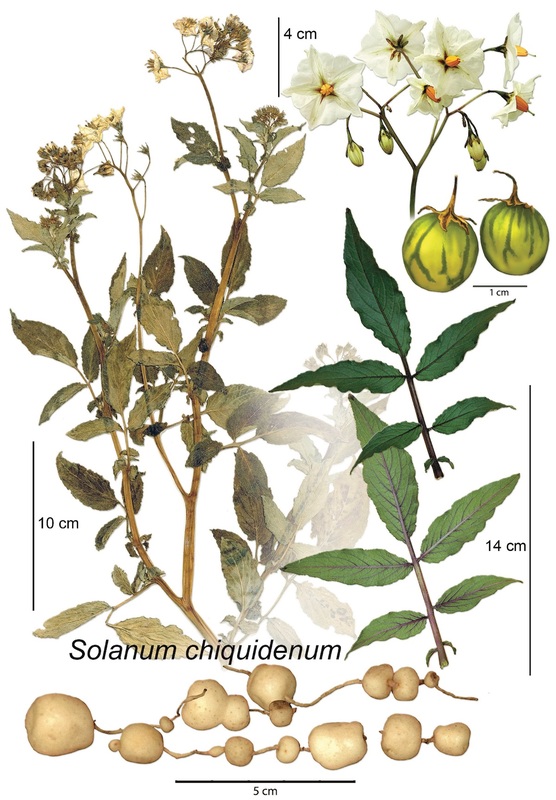 Illustration by Kandis Elliot of the Peruvian wild potato species Solanum chiquidenum, to be published by Spooner and collaborators in the botanical journal Systematic Botany Monographs early next year. “What makes the herbarium samples valuable is that they cover the majority of the potato species diversity,” says Spooner, who arranged the transfer of the samples from federal to state property. For decades, Spooner’s specialty has been the potato family. Spooner’s search for samples of wild and domesticated potato specimens has taken him from the southwestern United States down through Central America to Chile. In recent years, as he has been reassigned by the USDA to focus on carrots, he’s traveled to the western Mediterranean, including Tunisia, Spain and Morocco. The seeds he collects and stores are known as germplasm, and are invaluable to plant breeders. 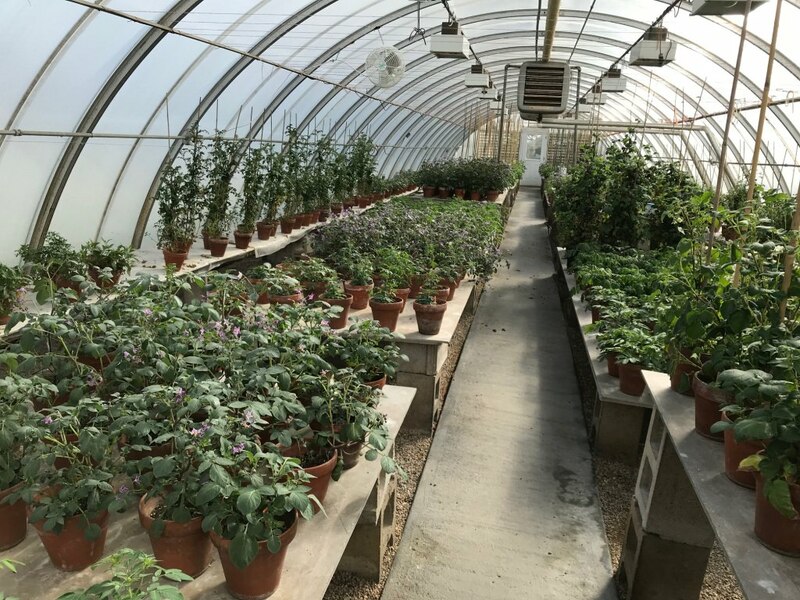 “The purpose of the germplasm collections is to be useful breeding stock to improve disease resistance or agronomic traits like productivity and color,” says Spooner. But Spooner isn’t a breeder. His passion is deciphering how closely related plant species are separated from and related to one another. To do that, Spooner has to reevaluate the list of different species handed down to him from earlier potato experts. In a trilogy of monographs, which are exhaustive accounts of a family of plants, Spooner has whittled down the accepted number of different potato species from 235 to 111. This major reordering of an important crop family was based on his access to new types of data that his predecessors didn’t have. While he relies on increasingly large troves of genomic data, Spooner still turns to the plant taxonomist’s trusted source: morphology. The shape, size and organization of different plant parts not only help tease apart different species, but are also crucial to categorizing real plants — DNA just doesn’t jump out from a pressed plant sample. Spooner attributes a lot of his productivity to the people and resources of the university. “We’ve got some of the best people in the world here. It’s a great place to work, because of the infrastructure: libraries, field facilities, the Biotechnology Center, the intellectual capital. It makes this place unbelievable,” he says. As he’s increased his focus on carrots, Spooner has collaborated with UW–Madison horticulture professor and fellow USDA scientist Phil Simon. Simon’s group recently sequenced the carrot genome, providing Spooner with a baseline of data to help him organize carrots the way he has potatoes. Ken Cameron, the director of the Wisconsin State Herbarium, says that the potato specimens Spooner brought to campus emphasize the value of wild relatives in efforts to improve our most important crops.